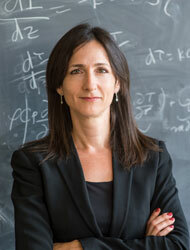 The Mary Sue has posted an interview with Sara Seager, a Professor of Planetary Science at MIA, whose chief research is in exoplanets, and is an adviser with Planetary Resources, the company who plans on mining asteroids, possibly within the next ten years. While NASA succeeds with big, complex space science missions ... most of space science would benefit tremendously from cheaper, more frequent launch capability for smaller, more specialised space science missions. A sustainable commercial spaceflight business – one that is not supported by NASA contracts – is required to reduce the costs and increase the launch opportunities. I support any efforts for a self-sustaining spaceflight business. This is exactly true. And considering the success (so far) of SpaceX's Dragon capsule launch, we're moving in the right direction. Actually, Tuesday's launch is an important moment for Planetary Resources as well, as it is commercial rockets that would be taking PR's equipment into space, and to asteroids, to begin with. I highly recommend you take the time to read the article.